Classics is the study of the ancient Greek and Roman worlds from many different angles, including language, literature, history, art, archaeology, philosophy, and science. Coursework in Classics can involve everything from learning to read ancient tragedies in their original languages (and even performing in them yourself) to studying what archaeobotanical evidence can tell us about climate change on the millennial scale. Classics students often complement their coursework with summer experiences like language study in Greece and Rome or archaeological fieldwork around the Mediterranean (see Studying abroad). Offerings by faculty in Classics are supplemented by courses in History, History of Art, Linguistics, Philosophy, and the Archaeology Program. Classics faculty currently run field projects in Cyprus, focusing on Bronze-Age settlements, and in Italy, focusing on Roman economy and landscapes. 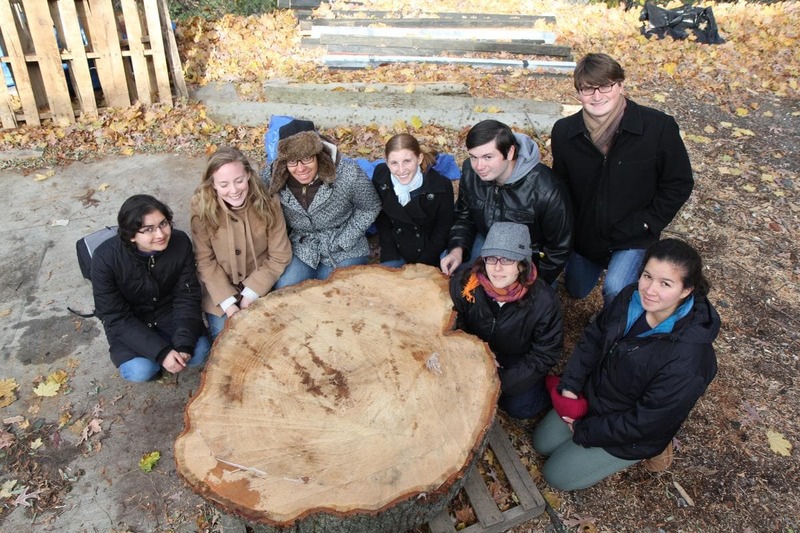 Cornell is also home to the Aegean Dendrochronology Project, which conducts summer expeditions. A limited amount of funding for students wishing to participate in these and other archaeological projects is administered by the Archaeology Program. As a Classics major, you can immerse yourself in the cultures of ancient Greece and Rome through programs in ancient languages, literature, history, archaeology, history of art, science, linguistics and philosophy. 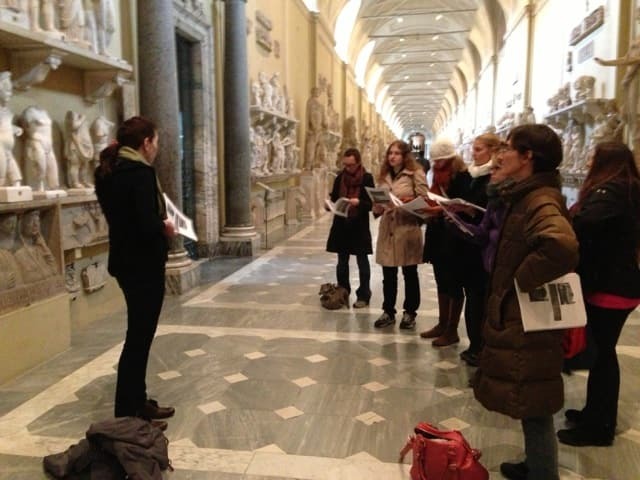 Classics majors work closely with individual professors in their areas of expertise, often in small classes, and have many opportunities for independent research and travel. The rigorous analytical training of a Classics degree helps to develop skills that are valued in a wide variety of careers. The major in Classics offers four tracks. Only classes passed with a C– or better may be applied to the classics major. One course must yield a seminar paper of at least 4000 words. Interested in majoring in Classics but not sure which track is right for you? Please contact Director of Undergraduate Studies Prof. Courtney Roby who will be happy to discuss them with you. For requirements and forms, click here. Classics majors will graduate with skills in close reading, detailed research, and writing, well prepared for a wide range of careers. Medical schools and law schools alike strongly favor Classics majors because the major imparts rigorous analytical skills as well as language and communication skills, all developed through coursework that encourages students to think broadly as well as deeply about complex questions and ideas. Classics majors also go on to careers in politics, financial consultancy firms, publishing, and graduate school in a wide range of fields. Uncover the mysteries of ancient Greece and Rome! You’ll have the choice of any six Classics courses (above 1000-level, including two 3000-level), which chart a coherent path through our offerings in ancient literature (in translation), history, philosophy, art history, and archaeology. This minor does not include a language requirement. Click here for the form. Option 1 is satisfied by taking LATIN 2201 or above. Students can place into LATIN 2201 with an A- or better in LATIN 1202, 1203, or 1204. Upon completing 2201, they satisfy Option 1. Option 2 is satisfied by taking either (a) LATIN 1201, 1202, and 1205 or (b) LATIN 1203 and 1205. LATIN 1203 counts as two courses. Although credits for 1203 and 1205 add up to only 9, this sequence does satisfy Option 2 of the language requirement. The sequence LATIN 1204-1205 does not satisfy Option 2. LATIN 1204 overlaps with LATIN 1202 therefore cannot be taken (or counted toward the degree) after completing LATIN 1202 or 1203. Option 1 is satisfied by taking GREEK 2201 or above. Students can place into GREEK 2201 through placement exams or by satisfactory completion of GREEK 1102. Upon completing 2201, they satisfy Option 1. Option 2 is satisfied by taking GREEK 1101, 1102, and 2201. The honors course in Classics gives you the opportunity to research in detail a subject that intrigues you and to write up your results in an extended paper (40–80 pages). You will work independently (with some guidance from your advisor) and thus experience the trials and rewards of research. If you are well prepared and serious in your work, writing a thesis can be the most interesting, fruitful, and probably demanding academic experience of your undergraduate career. For these reasons, the department strongly encourages suitable candidates to consider taking honors. Before proceeding, however, decide whether this is the best option for you. You need deep interest, even passion, for your topic; mere desire for honorific notation on the transcript seldom sustains honors work. In some cases, two 3000-level courses on central authors or subjects you have not yet studied may be more rewarding than an independent honors project. We hope you will discuss your options with your advisor, the director of undergraduate studies, and other members of the faculty. Click here for more details on honors study in Classics. 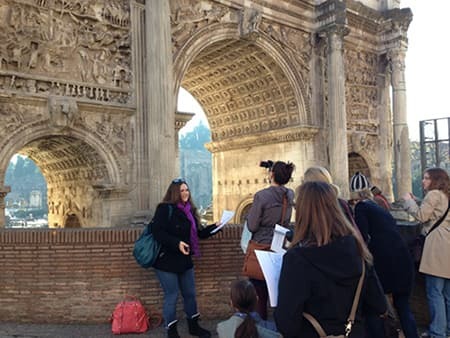 Cornell University participates in the Intercollegiate Center for Classical Studies in Rome, which offers courses in Latin, Greek, ancient history, art, archaeology, and Italian. 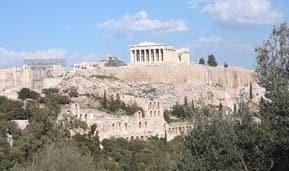 Another opportunity for a semester's study abroad is the College Year in Athens, where courses in Greek, ancient history, art, and archaeology are offered. Detailed information on these programs is available through Global Learning. Two Harry Caplan summer travel fellowships are awarded annually to outstanding juniors, not necessarily Classics majors, to support travel or other projects that enhance serious study of the classical cultures of the Near East, Greece, Rome, and Latinate medieval Europe. Harry Caplan was one of Cornell's most renowned and beloved professors of Classics. Students apply by submitting a short essay describing how they plan to take advantage of the fellowship and demonstrating appropriate background for the project. Contact Courtney Roby (G29 Goldwin Smith Hall) for additional information.